As the #MeToo movement has progressed, HR and legal departments are bearing the brunt of workplace complaints as they are increasingly called upon to sort through allegations of harassment and discrimination, not to mention standard interpersonal conflicts. Employers must tackle these situations head on. One of the linchpins of the employer’s response is its proper investigation and remediation of complaints. Determining when and how to proceed, however, often is more complicated in practice. The first question for any company is if and when it should start an investigation. The short answer is: “When in doubt, investigate.” Most commonly, investigations are seen as a way to ward off potential litigation and prevent discrimination and harassment. But, the reasons for investigating go far beyond legal liability. Numerous states have enacted or are considering laws addressing workplace bullying, which encompasses offensive or abusive behavior in the workplace, even if it is not tied to a protected characteristic. Similarly, company responses to general office situations can be scrutinized to determine whether a company has taken adequate steps to prevent discrimination or harassment, even if those situations did not involve actual complaints of discrimination or harassment. Outside of the legal arena, numerous business reasons encourage companies to investigate all manner of disputes. Multiple studies have shown that a negative workplace environment results in increased costs to the company, including employee turnover, and higher employee health care costs. Meanwhile, a positive workplace environment can foster productivity and actually increase profits. Given these benefits, companies would be well advised undertake a workplace investigation whenever an employee brings a situation to the attention of the company. Just because the company conducts investigations in a number of circumstances does not mean that it conducts the same investigation in all circumstances. Not all investigations are alike. Rather, they can exist along a wide spectrum, so long as they all comply with the four keystones. They must be prompt, impartial, thorough and well-documented. These requirements by no means tie a company’s hands when responding to workplace complaints. 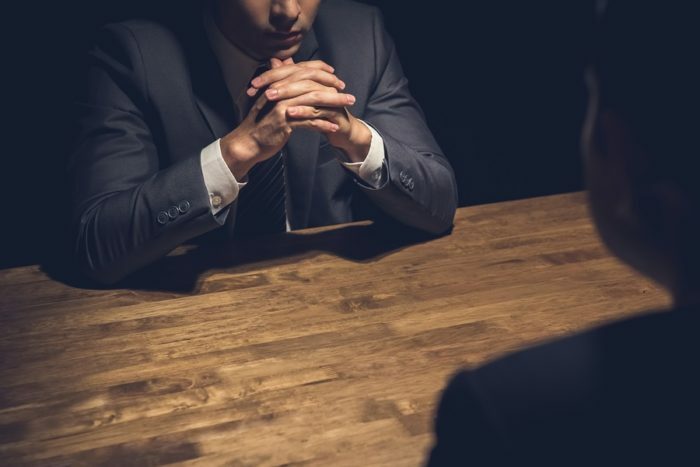 For allegations of discrimination and harassment, or other serious allegations, formal investigations, where numerous witnesses are interviewed and numerous documents are reviewed, should still be conducted. Outside investigators should often be brought in and formal investigative reports should be commissioned. But the company can also respond to lesser situations in a proportionate manner. Investigations into interpersonal disagreements can be as simple as a manager or HR professional sitting down with the employees involved, either individually or as a group. Grievances can be aired and potential solutions can be discussed, with the parties involved hopefully reaching a consensus about the best course of action moving forward. In each scenario, the company needs to ensure that its process is in compliance with the four keystones. Prompt: Has the company moved expeditiously to investigate and address the situation? Impartial: Has the company listened to all sides and considered all viewpoints with an open mind? Thorough: Has the company gathered all relevant evidence and spoken with all relevant witnesses, given the needs of the individual circumstances? Well-documented: Have the results of the investigation – and all of the evidence the company relied on in making its decision – been documented in writing and stored in a place where they will be accessible at a later date? How do we wrap this up? While each of these four keystones is important in its own right, companies most often trip up on the last element: properly documenting the investigation and preserving the evidence. As with the nature of the investigation itself, the manner of documenting the investigation will vary from situation to situation. Interpersonal disputes between co-workers may be able to be documented by an email to the employees involved describing the dispute and the agreed-upon course of action in the future. Conversely, allegations of discrimination and harassment by managers may warrant an outside investigator and the commissioning of a formal report. Regardless of the nature of the documentation, there are a few basic requirements that transcend all manner of investigations. First, the documentation should memorialize the entire investigation process, not just the results. It should document all of the steps taken and reference all of the evidence and information collected. Often, when an investigator sets out to memorialize the investigation, there is an inclination to focus just on the information that supports the conclusion reached. This tendency, however, weakens the report by focusing on the results of the investigation and not the process. To show that an investigation was done promptly, impartially and thoroughly, the report should walk through all of the evidence collected in enough detail that an uninterested observer could reach the same conclusion. If a witness or a document was determined to be unreliable, the reasons for the determination should be described. Did a witness change his or her story throughout an interview? Was a document determined to be a forgery? The determinations that led the investigator to the ultimate conclusion should be set forth to show that evidence was weighed, considered and found wanting, instead of being ignored. Second, the report should attach or otherwise incorporate evidence critical to its decision. If an employee was found to have forged documents that he or she submitted to the company, a copy of the forgery should be attached to the report, as well as any other documents the investigator relied upon in deciding it was a forgery. By attaching the documents to the report itself, the company creates a self-contained document that supports the decision. Third, the report and all the evidence relied upon must be saved in a separate file or location to ensure that it is preserved for the future. In the modern digital age, emails can be subject to routine deletion protocols. Camera footage can be automatically deleted or recorded over. Our automated protocols mean that valuable evidence can be lost if a company is not careful, which could lead to adverse inferences in court. Done correctly, workplace investigations can be an invaluable tool. With adherence to a few basic requirements, companies can give themselves flexibility in responding to the realities of the workplace while still ensuring they foster a proper workplace environment. Patrick Allen is a member of the Labor and Employment Practice Group in the firm’s San Diego office. Mr. Allen represents employers in single-plaintiff and class action litigation involving discrimination, harassment, wrongful termination, and wage and hour violations. He regularly counsels corporations and non-profit organizations across a wide variety of industries, including biotechnology, construction, hospitality, and health services.